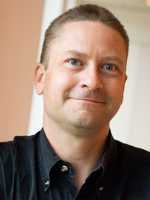 Simon Ritter is a Java Technology Evangelist at Oracle Corporation. Simon has been in the IT business since 1984 and holds a Bachelor of Science degree in Physics from Brunel University in the U.K. Originally working in the area of UNIX development for AT&T UNIX System Labs and then Novell, Simon moved to Sun in 1996. At this time he started working with Java technology and has spent time working both in Java technology development and consultancy. Having moved to Oracle as part of the Sun acquisition he now specialises in looking at emerging technologies including cloud computing, wireless sensor networks, and gestural interfaces.